Marna, Sharing my Congratulations on your recent Feature in Black Background and Color ! Thank you Martine and Eunice! 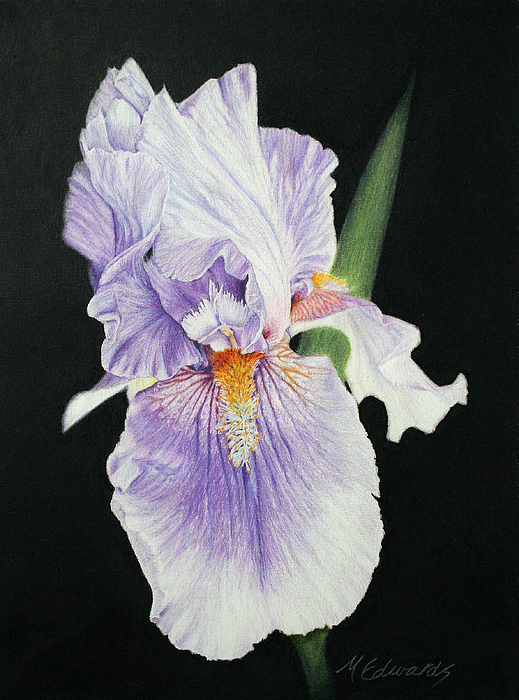 And thank you to all who voted for my color pencil painting!! Congratulations on your first place win! 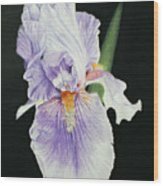 What a gorgeous Iris painting! Thank you, Sandra! I love your work. I admire anyone that can do watercolor which I think is a very difficult medium and you do it beautifully ! 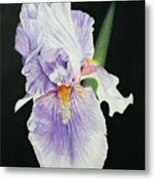 Marna, your Beautiful Iris painting is now featured in the Iris theme of "the Magic of Flowers" group. Enjoy. Thank you, Jennifer and Bruce! Yes, it is color pencil, a wonderful media. It has a lot of wax in it so it really lends itself to realism art. This is done in PENCIL? It looks so REAL! It's beautiful! Excellent work. 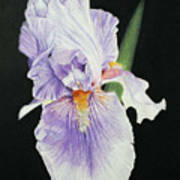 This is a home grown iris from my parents yard done in soft core color pencil on white paper. The black background is filled in with multiple layers of red, blue, green and black to create the finished black background. Finished size 9" X 12"